Marriage is always a marvelous event full of laughter, smiles, sparkling memories. Not only are you gaining a lifetime partner – or so you hope – another branch of the family is also gained. 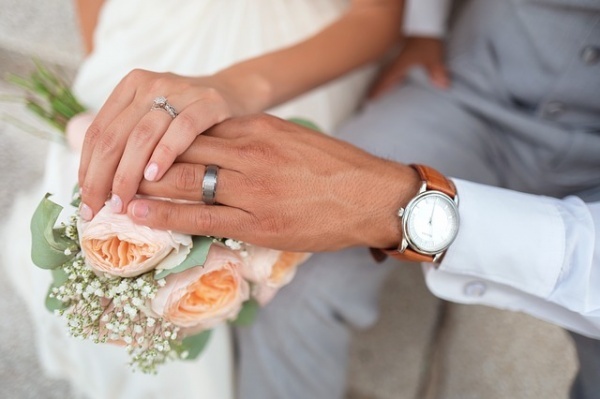 Does that mean you have to drop your maiden name upon entering this pact with your partner? Or do you have every right to keep the identity you have always had? While in the past surname changes after marriage were a custom, nowadays it is an outdated idea. You do not have to choose your partner’s last name as your own if you do not want to, and I am going to tell you why. There is presently no law telling you what to do with your maiden name. Therefore, if you do not have to change it and have no desire to, nothing can make you. Also, no, your surname does not automatically change once the ring slips onto your finger. If someone tells you otherwise, such as for the printing of your marriage certificate, ask them which legal stipulation insists you do. They will come up short. Look, a lot of things are a tradition that is also very wrong. A past institution that was a tradition for many years was slavery. Another one is the repression of minorities and the female gender. Now, I am saying that changing your name is reducing yourself to cattle; but it is a movement of equality. If your significant other gets ruffled at the prospect of having to change their name then so too should you. Some of us truly love our last names. Our last names are a proud reminded of where we come from, who were are, and may remind us of our parents’ faces. To suddenly change to a new name could provoke anxiety at the thought of losing touch with that part of our lives. And really ladies, giving ourselves over to another family and abandoning the old one as if we are tradeable goods is outdated. We are no longer sold for cattle. As much as some people may puff up at the idea, our names are more than ever a reflection of who we are. That is why strippers have stage names, some entertainers call themselves acronyms of their real names, and why some writers develop pseudonyms. Try saying another last name in place of yours and see how it tastes. Look at what happens to your face. If it contorts or if your mouth feels like it’s been stuffed with cotton, a name change may not be for you. Some women have educational merits on their wall with their maiden names printed on those important papers. Once you have achieved a professional milestone, such as earning a master degree, a name change would seem silly. Doctors and teachers who change their name also create confusion. Again, the choice is ultimately yours, but for the busy professional, getting used to a new title may be inconvenient and unproductive. Also, a new name means starting over with building credibility. Not only does divorce happen, it is happening more often than ever before. Separating from the person you marry after taking their surname creates some identity issues. A piece of them stays with you forever, unless you revert back to your maiden name. But if you hate paperwork, why put yourself through the trouble? Simply keep your real last name to avoid the potential pitfalls of divorcing then having to be constantly reminded of a past mistake. In short, changing your name is outdated. Though a name change has been recognized as custom, modern times are allowing for women to maintain their set identity. You never have to give up something if you do not want to. That includes your heritage, identity, and comfort level attached to your maiden name.